Masrura Oishi is the knowledge management and communications officer at the BRAC Social Innovation Lab. She is currently part of a team of early adopters who consult the BRAC programmes on innovation and change. 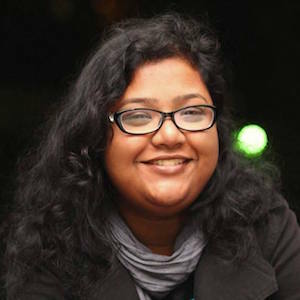 Prior to joining BRAC in 2016, she has worked for an innovation accelerator and a social change communications agency, specializing on research and project management. She has consulted multiple startups in their early stages. Her research on ‘Investment Readiness of the startups in Dhaka’ won the best paper award at the 13th Asian Business Research Conference. She holds a bachelor‘s degree in Economics from North South University and is currently pursuing a Masters in Development Studies from BRAC University. She is a blogger, a radio host and an entrepreneurship enthusiast. BRAC, which has been gradually integrating mobile money into its microfinance operations since 2011, has introduced a number of new initiatives, including investing heavily in client protection, customer service and financial education, and developing mobile money use cases. Here, as part of FI2020 Week's spotlight on keeping clients first in a digital world, a long-time client gives her perspective on this evolution.